Toy Drive in full swing! City of Lancaster & Lancaster Modern Dentistry are now collections sites, today thru 12/17! 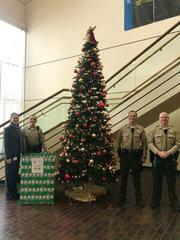 Lancaster Sheriff’s Station Toy Drive is in full swing! We would like to invite our Antelope Valley residents to participate in our 2nd Annual Stuff a Humvee Toy Drive! 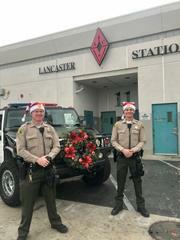 On Thursday, December 6th, 2018, our deputies will be at the Target Store Lancaster located at 43525 10th Street West in Lancaster. From 10am to 8pm, we will be collecting new, unwrapped toys! Our goal is to fill our Humvee rescue vehicle with as many toys as we can. Can't stop by Target on December 6th? No problem! Our amazing community has partnered with us! 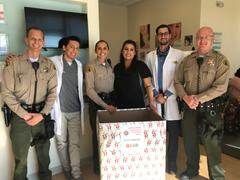 Starting today, through Monday, December 17, 2018 both City of Lancaster, CA – Governmentand Lancaster Modern Dentistry will be collection locations for anyone who would like to donate a new, unwrapped toy. Our station lobby will also be a donation site! All of the donated toys will be shared with numerous organizations to donate to local families. With the holiday season upon us, help us make sure every child has a gift to unwrap. We wish you a very, merry holiday season!